StemCells, Inc. has presented data of their two-year follow-up of patients with Pelizaeus-Merzbacher disease (PMD) who were treated with the Company’s proprietary HuCNS-SC cells. HuCNS-SC is a purified human neural stem cell line, and these neural stem cells can differentiate into a very wide variety of cell types of the nervous system, including different types of neurons and glial cells. PMD is an inherited condition that involves the central nervous system. It is one of a group of genetic disorders called “leukodystrophies,” which all have in common degeneration of myelin. Myelin covers nerves and protects them, and promotes the efficient transmission of nerve impulses. PMD is caused by an inability to synthesize myelin (dysmyelination). Consequently, PMD individuals have impaired language and memory abilities, and poor coordination. Typically, motor skills are more severely affected than intellectual function; motor skills development tends to occur more slowly and usually stops in a person’s teens, followed by gradual deterioration. Since PMD is an X-linked genetic disease, it is far more prevalent in males, and an estimated 1 in 200,000 to 500,000 males in the United States have PMD, but it rarely affects females. Mutations in the PLP1 gene usually cause PMD. 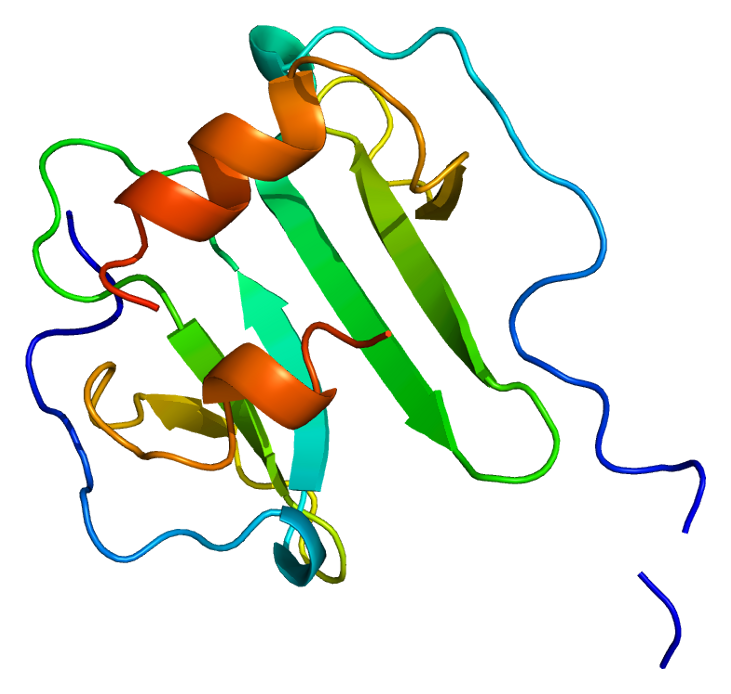 The PLP1 gene encodes proteolipid protein 1 and a modified version (isoform) of proteolipid protein 1, called DM20. Proteolipid protein 1 and DM20 are primarily in the central nervous system and are the main proteins found in myelin. The absence of proteolipid protein 1 and DM20 can cause dysmyelination, which impairs nervous system function and causes the signs and symptoms of Pelizaeus-Merzbacher disease. In this trial, PMD patients were injected with HuCNS-SC cells. In this report, magnetic resonance imaging (MRI) studies were used to determine the amount of myelin that insulated particular nerves in the central nervous system. MRI examination of the patients revealed evidence of myelination that is more pronounced that what was seen in the one year post-transplantation exams. The gains in neurological function reported after one year were maintained, and there were no safety concerns. Patients with PMD have insufficient myelin in the brain and their prognosis is very poor, usually resulting in progressive loss of neurological function and death. The neurological and MRI changes suggest a departure from the natural history of the disease and may represent signals of a positive clinical effect. These data were presented by Stephen Huhn, MD, FACS, FAAP, Vice President, CNS Clinical Research at StemCells, Inc., at the 2013 Pelizaeus-Merzbacher Disease Symposium and Health Fair being held at Nemours/Alfred I. duPont Children’s Hospital in Wilmington, Delaware. The Company’s Phase I trial was conducted at the University of California, San Francisco, and enrolled four patients with “connatal” PMD, which is the most severe form of PMD. All four patients were transplanted with HuCNS-SC cells, and followed for twelve months after transplantation. During the year of post-transplantation observation, the patients underwent intensive neurological and MRI assessments at regular intervals. Since none of the patients experienced any serious or long-lasting side effects from the transplantation, the results of this Phase I trial indicate a favorable safety profile for the HuCNS-SC cells and the transplantation procedure. Data from MRI analyses showed changes consistent with increased myelination in the region of the transplantation. This increased myelination progressed over time and persisted after the withdrawal of immunosuppressive drugs nine months after transplantation. These results support the conclusion of durable cell engraftment and donor cell-derived myelin in the transplanted patients’ brains. Also, routine neurological exams revealed small but consistent and measurable gains in motor and/or cognitive function in three of the four patients. The fourth patient remained clinically stable. These Phase I trial results were published in October 2012 in Science Translational Medicine, the peer review journal of the American Association for the Advancement of Science. Upon completion of the Phase I trial, all four patients were enrolled into a long-term follow-up study, which is designed to follow the patients for four more years. Even though my previous posts about cancer stem cells have generated very little interest, understanding cancer as a stem cell-based disease has profound implications for how we treat cancer. If the vast majority of the cells in a tumor are slow-growing and not dangerous but only a small minority of the cells are rapidly growing and providing the growth the most of the tumor, then treatments that shave off large numbers of cells might shrink the tumor, but not solve the problem, because the cancer stem cells that are supplying the tumor are still there. However, if the treatment attacks the cancer stem cells specifically, then the tumor’s cell supply is cut off and the tumor will wither and die. In the case of breast cancer, the tumors return after treatment and spread to other parts of the body because radiation and current chemotherapy treatments do not kill the cancer stem cells. This premise constitutes the foundation of a clinical trial operating from the University of Michigan Comprehensive Cancer Center and two other sites. This clinical trial will examine a drug that specifically attacks breast cancer stem cells. The drug, reparixin, will be used in combination with standard chemotherapy. Cancer stem cells are the small number of cells in a tumor that fuel its growth and are responsible for metastasis of the tumor. This phase 1b study will test reparixin, which is given orally, with a drug called paclitaxel in women who have HER2-negative metastatic breast cancer. This study is primarily designed to test how well patients tolerate this particular drug combination. However, researchers will also examine how well reparixin appears to affect various cancer stem cells indicators and signs of inflammation. The study will also examine how well this drug combination controls the cancer and affects patient survival. This clinical trial emerged from laboratory work at the University of Michigan that showed that breast cancer stem cells expressed a receptor on their cell surfaces called CXCR1. CXCR1 triggers the growth of cancer stem cells in response to inflammation and tissue damage. Adding reparixin to cultured cancer stem cells killed them and reparixin works by blocking CXCR1. Mice treated with reparixin or the combination of reparixin and paclitaxel had significantly fewer (dramatically actually) cancer stem cells that those treated with paclitaxel alone. Also, riparixin-treated mice developed significantly fewer metastases that mice treated with chemotherapy alone (see Ginestier C,, et al., J Clin Invest. 2010, 120(2):485-97). The FDA-approved ATHENA trial is the brainchild of stem cell researchers at the Texas Heart Institute at St. Luke’s Episcopal Hospital. 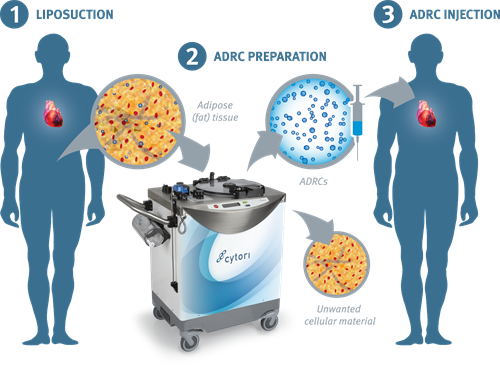 The ATHENA trial is the first trial in the United States to examine the efficacy of adipose-derived regenerative cells or ADRCs as a treatment for a severe form of heart failure. To harvest ADRCs, Texas Heart Institute researchers used a technique that was developed by Cytori Therapeutics, which is a biotechnology company that specializes in cell-based regenerative therapies. Previous clinical trials in Europe strongly suggest that such ADR-based therapies are quite safe and feasible. To date, physicians are the Texas Heart Institute have treated six patients as a part of the ATHENA trial. The subjects for the ATHENA trial are patients who suffer from chronic heart failure due to coronary heart disease. 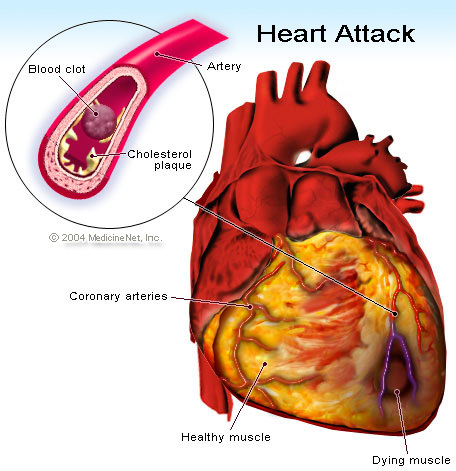 Coronary heart disease results from blockage of the coronary vessels and feed the heart muscle and limits the oxygen supply to the heart muscle, and consequently, the pumping activity of the heart muscle. Data from the American Heart Association reveals that there are about 5.1 million Americans who currently live with heart failure, and in many cases, the only viable treatment is a left ventricular assist device (LVAD) or a heart transplant. Unfortunately, there are only about 2,200 heart transplants a year due to a severe shortage of organs. Patients who are enrolled in the ATHENA trials are randomized and some will receive a placebo treatment and others will receive the experimental treatment. All patients will undergo liposuction in order to remove adipose or fat tissue. Processing of the fat tissue isolates the ADRCs, and the experimental patients will have these cells injected directly into their heart muscle, but the placebo patients will receive injections of culture medium or saline that contains no cells. ATHENA will measure several data endpoints that include objective measures of heart function, exercise capacity, and questionnaires that assess the symptoms and health-related quality-of-life. The US trial will enroll a total of 45 patients at several centers around the country and these centers include the Texas Heart Institute, Minneapolis Heart Institute, Scripps Green Hospital in San Diego, CA, the University of Florida at Gainesville, and Cardiology P.C. in Birmingham. Patients are being enrolled. Healthline has recently compiled the statistics on heart disease in an impressive and colorful manner at this link. A laboratory at the University of North Carolina at Chapel Hill has, for the first time, isolated adult stem cells from human intestinal tissue. This achievement should provide a much-needed resource for stem cells researchers to examine the nuances of stem cell biology. Also, these new stem cells should provide stem cell researchers a new tool to treat inflammatory bowel diseases or to mitigate the side effects of chemotherapy and radiation, which often damage the gut. The study represents a leap forward for a field that for many years has had to resort to conducting experiments with mouse stem cells. While significant progress has been made using mouse models, differences in stem cell biology between mice and humans have kept researchers from investigating new therapeutics for human afflictions. This study from the Magness laboratory was the first in the United States to isolate and grow single intestinal stem cells from mice. Therefore, Magness and his colleagues already had experience with the isolation and manipulation of intestinal stem cells. In their quest to isolate human intestinal stem cells, Magness and his colleagues also procured human small intestinal tissue for their experiments that had been discarded after gastric bypass surgery at UNC. To develop their technique, Magness and others simply tried to recapitulate the technique they had developed in used to isolate mouse intestines to isolate stem cells from human intestinal stem cells. They used cell surface molecules found on in the membranes of mouse intestinal stem cells. These proteins, CD24 and CD44, were also found on the surfaces of human intestinal stem cells. Therefore, the antibodies that had been used to isolate mouse intestinal stem cells worked quite well to isolate human intestinal stem cells. Magness and his co-workers attached fluorescent tags to the stem cells and then isolated by means of fluorescence-activated cell sorting. This technique worked so well, that Magness and his colleagues were able to not only isolated human intestinal stem cells, but also distinct types of intestinal stem cells. These two types of intestinal stem cells are either active stem cells or quiescent stem cells that are held in reserve. This is a fascinating finding, since the reserve cells can replenish the stem cell population after radiation, chemotherapy, or injury. Certainly more papers are forthcoming on this fascinating and important topic. Bone marrow is a treasure trove of different types of stem cells. One of the stem cells in bone marrow is the so-called “very small embryonic-like” stem cell or VSEL stem cell. While these cells are still a bit mysterious, there is a clinical trial in the making that uses VSEL stem cells to grow bone in human patients. Researchers from the University of Michigan School of Dentistry and the New York-based company Neostem, Inc are pursuing this project, and their hypothesis is that VSEL stem cells can speed bone regeneration in dental patients and others who need bone treatments. In this trial, Neostem will provide the cells and the patented technology to purify the VSEL stem cells. University of Michigan will design the clinical trial, provide the patient care, and analyze the data generated by the study. All patients will receive their treatments at the U-M Center for Oral Health Research and the U-M Health System. Russell Taichman, Professor of Dentistry and Director of University of Michigan Scholars Program in Dental Leadership, said this about this project: “Within a year, researchers hope to begin recruiting roughly 50 patients who need tooth extraction and a dental implant.” However, before extracting the tooth, U-M researchers will harvest bone marrow from the patient and send it to Neostem. At Neostem, a special technology will be employed to isolate the VSEL stem cells from the bone marrow. Once the patient has had their tooth extraction or bone resectioning, the researchers will implant the patient’s own VSEL stem cells directly into the patient’s jaw. Patients will receive either VSEL stem cells, or some other cells. Atter the new bone grows, researchers will remove a small portion of the bone for analysis, and the patients will also receive an implant. U-M has applied for initial patient protection to use the VSEL stem cells to grow bone. Robin Smith, chairman and CEO of Neostem, emphasized the importance of this study for the development of VSEL stem cells from the patient’s own body to treat a wide range of diseases. In a clinical trial that is probably one of the first of its kind, researchers from the laboratory of Marc Penn at the Summa Cardiovascular Institute in Akron, Ohio, activated the stem cells of heart failure patients by means of gene therapy. Penn and his colleagues delivered a gene that encodes stromal-cell derived factor-1 or SDF-1. SDF-1 is a member of the chemokine family of signaling proteins, and chemokines are proteins that direct cells to get up and move somewhere. Thus, for stem cells, SDF-1 acts as a kind of “homing” signal. In this unique study, Penn and his collaborators introduced SDF-1 into the heart in order to summon stem cells to the site of injury and enhance the body’s stem cell-based repair process. In a typical stem cell-based study, researchers extract and expand the number of cells, then deliver them back to the subject, but in this study, no stem cells were extracted. Instead they were summoned to the site of injury by SDF-1. Previous research by Penn and colleagues has shown SDF-1 activates and recruits the body’s stem cells to sites of injury and this increases healing. Under normal conditions, SDF-1 is made after an injury but its effects are short-lived. For example, SDF-1 is naturally expressed after a heart attack but this augmented expression of SDF-1 only lasts only a week. In the study, researchers attempted to re-establish and extend the time that SDF-1 could stimulate patients’ stem cells. The trial enrolled 17 NYHA Class III heart failure patients, with left ventricular ejection fractions less than 40% and an average time from heart attack of 7.3 years. Three escalating JVS-100 doses were evaluated: 5 mg (cohort 1), 15 mg (cohort 2) and 30 mg (cohort 3). The average age of the participants was 66 years old. 1. Patients improved their average distance by 40 meters during a six-minute walking test. 2. Patients reported improved quality of life. 3. The heart’s pumping ability improved, particularly for those receiving the two highest doses of SDF-1 compared to the lowest dose. 4. No apparent side effects occurred with treatment. At the start of the study, participants didn’t have significant reversible heart damage, but lacked blood flow in the areas bordering their damaged heart tissue. The study’s results — consistent with other animal and laboratory studies of SDF-1 — suggest that SDF-1 gene injections can increase blood flow around an area of damaged tissue, which has been deemed irreversible by other testing. In further research, Penn and his team are comparing results from heart failure patients receiving SDF-1 with patients who are not receiving SDF-1. If the trial goes well, the therapy could be widely available to heart failure patients within four to five years, Penn said. Researchers from the laboratory of Jason S. Meyer have designed a protocol to generate pigmented retinal cells from induced pluripotent stem cells (iPSCs). Induced pluripotent stem cells are made from adult cells by means of genetic engineering techniques that introduce four specific transcription factors into the cells that turn on a variety of genes that dedifferentiate the adult into an embryonic stem cell-like cell. This embryonic stem cell-like cell is an iPSC. Because iPSCs are similar to embryonic stem cells, they can differentiate into any adult cell type. Last year, a clinical trial that used embryonic stem cells to produce pigmented retinal was published. This trial injected retinal pigmented epithelial cells derived from embryonic stem cells into the retinas of two patients. Both patients suffered from retinal diseases that affected the pigmented retina. Both patients showed eyesight improvements in the injected eye, but one patient showed improvements in both eyes. Therefore, the results of this experiment are largely inconclusively. Also, the derivation of human embryonic stem cells requires the destruction of human embryos, which ends the life of a young human person. Therefore, iPSCs offer a potentially better ethical alternative to embryonic stem cells. In Meyer’s laboratory, Meyer and his co-workers have discovered have invented a way to differentiate iPSCs from patients into retinal pigmented epithelia (RPE), and photoreceptors (the light-sensitive cells in the retina). When tested in culture, the iPSC-derived RPE cells grew and functioned just as efficiently as RPEs made from more traditional methods. Meyer also noted that this research should allow scientists to better reproduce these cells because they know exactly what components were included to spur growth and minimize or eliminate any variations. Also, the cells derived from iPSCs function in a very similar fashion to cells derived from human embryonic stem cells, but they are not surrounded by the controversy that accompanies embryonic stem cells or the danger of immune rejection issues because they are derived from individual patients.